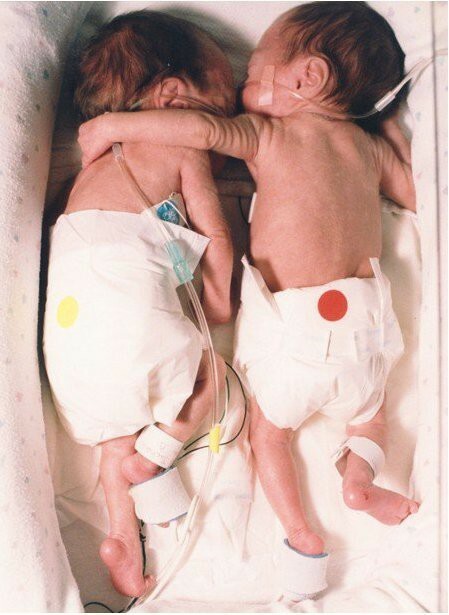 After I posted about twinless twins and preemies, a good friend of mine sent me this photo and a caption, something I initially missed and just saw yesterday. In fact, I wondered if this picture and the underlying story were legit or a prank. Even if it was a prank, who cares. For me, it just added more imagery of what Casey’s birth and infancy might have or could have been – the stronger baby (Casey) comforting the weaker twin (her sister) to hang in there. Casey wasn’t able to save her sister but this story has a happy ending. This photograph is called the ‘Rescuing Hug.’ Kyrie and Brielle were born in 1995 at Massachusetts Memorial Hospital in Worcester, each weighing two pounds. Brielle was not doing well. She cried a great deal, leaving her gasping and blue-faced; she was not expected to live. A hospital nurse fought to put her in the same incubator with her sister Kyrie as opposed to separate ones. Almost immediately, Brielle snuggled up to Kyrie, who wrapped her arm around her sister. Her touch allowed Brielle’s heart to stabilize, her temperature to return to normal and her breathing to come more easily. Over the next weeks, her health improved steadily in her new, less lonely quarters. The children survived their rocky beginning and in time went home with their parents. This entry was posted in Uncategorized and tagged orphans, preemies, Preterm birth, rescuing hug. Bookmark the permalink. 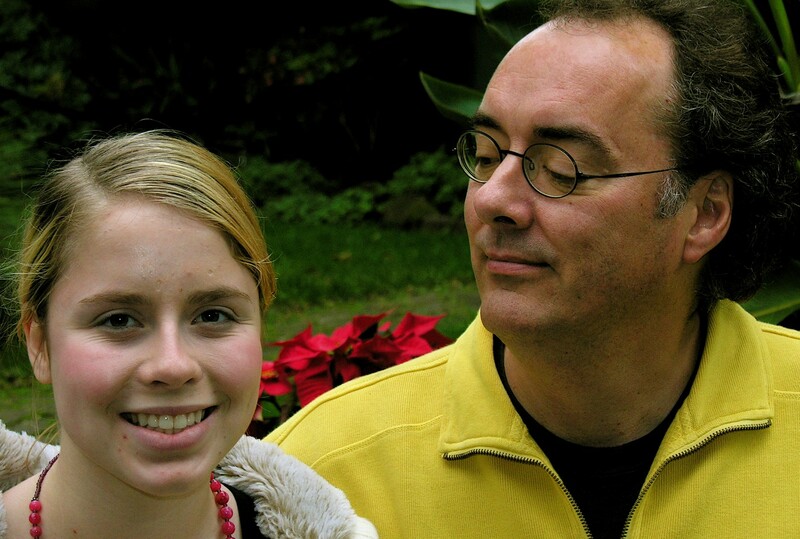 John — the words “if only” contain more emotion than almost any other two words combined! Thank you for continuing to share Casey’s story. John, thank you for bringing this warming story to our attention. It is a true story, as I just read more about the twins. Good friends and family hug each other, probably not realizing the physiological benefits of such a hug. I am going to hug more!! !